In the letter to shareholders for 2016, Jeff Bezos addressed an important topic. Something he had been thinking quite profoundly in the last two decades: Day 1. What is that and why is that so important? Let’s dive into each of those points, which made Jeff Bezos convinced that Day 1 is all that is about to build great businesses that stand the passing of time and shape the future. In fact, according to Jeff Bezos customers, even when they report being happy; in reality, they’re looking for something better. He mentions how customers didn’t know they wanted a prime membership until he created it. In short, if you focus on the process you might end up losing sight of the outcome. The consequence is to confuse the process for the outcome itself. The process is not the thing. It’s always worth asking, do we own the process or does the process own us? In a Day 2 company, you might find it’s the second. In fact, according to Jeff Bezos, that is not hard to find large trends. What it’s hard – especially for large organizations – is to embrace those trends. Amazon Lex (what’s inside Alexa), Amazon Polly, and Amazon Rekognition remove the heavy lifting from natural language understanding, speech generation, and image analysis. They can be accessed with simple API calls – no machine learning expertise required. Watch this space. Much more to come. Day 2 companies make high-quality decisions, but they make high-quality decisions slowly. To keep the energy and dynamism of Day 1, you have to somehow make high-quality, high-velocity decisions. Easy for start-ups and very challenging for large organizations. The senior team at Amazon is determined to keep our decision-making velocity high. Speed matters in business – plus a high-velocity decision making environment is more fun too. How to make the best of a high-velocity decision-making process? Fourth, recognize true misalignment issues early and escalate them immediately. In short, for many entrepreneurs, building a successful business is about creating great products. For others, it’s all about designing sustainable business models. 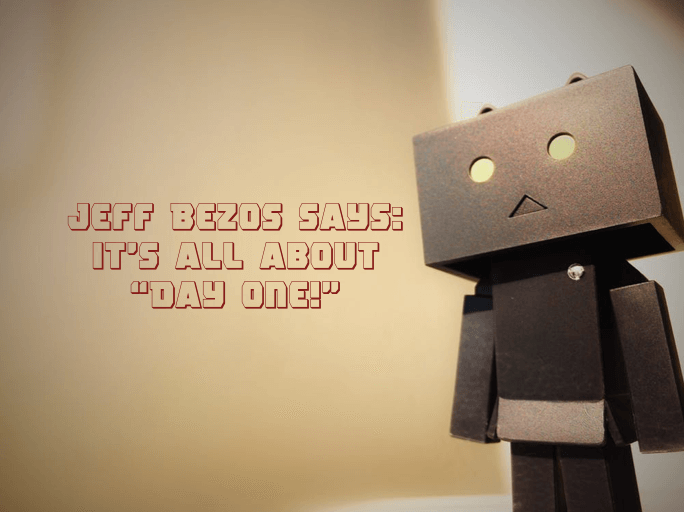 For Jeff Bezos, it’s all about Day 1! What Is The Best Business Model For A Small Business?